*Maybe a 10K Karma limit? Last Edit: 3 years, 1 month ago by Xeratous. 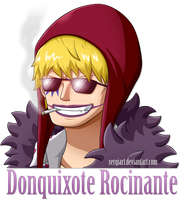 Last Edit: 3 years, 1 month ago by Rocinante. Just want to bump this because Im on the server now and it doesnt look like anything has been changed. I saw that Shout Vote was kinda changed? Maybe its because there are only 2 of us on, but I think having the old ULX map vote would be alot better. Or whichever one it was that lets you choose from all the maps in the map list. Bug maybe? Or my game is just stupid. Anyways, the map list in the ULX menu doesn't work. It's just blank. No maps listed. Also not sure about living chat but the mute command is a bit broken for dead/spec chat. And that's my opinion. Love it or hate it, as long as you respect it. It's better to die living than to live dying. Last Edit: 3 years ago by chef hou.